This is a win win win situation. Adding more members to your local trail association shows land managers that the trail association speaks for many, many people. They’re much more likely to be listened to when land managers are making decisions about our riding areas and trails if they have our strength in numbers. You’ll pay a modest fee for your membership of course, but this money can go straight back into the trails! 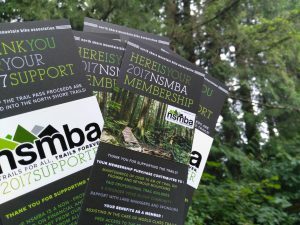 And as if that isn’t enough, once you have that membership, you’ll be eligible to join in to lots of fantastic events put on for you by your trail association. Races, rides, swap meets, and even the occasional film festival. If you see a puddle on the trail, it probably wasn’t part of the builder’s vision for it to be there. Is there a blocked drain right next to the puddle? Well, here’s your chance to fix it! Kick the crap/mud out of the drain to let the water flow freely away and off the trail. If each rider did this just once per ride, we’d all get home a lot cleaner and drier, and save the trail builder endless hours of work. Smile and say hi to other trail users. 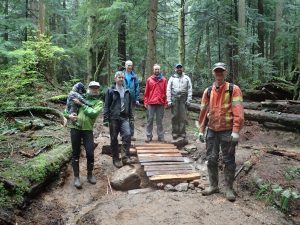 Good relations in the forest helps us keep and develop our trail network. 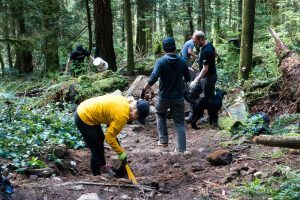 Slow down when you pass people, be neighbourly and, of course, thank anyone you see doing trail maintenance. 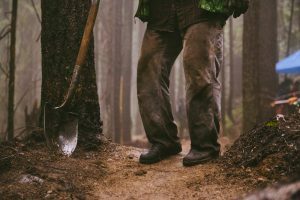 We all love to be out in the forest, so why not Invest a few hours in getting out there for some exercise in the form of a trail day. 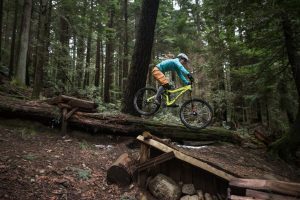 There are many many trails days held every year, and if you do one in the spring you can proudly ride all summer long knowing you’ve done your bit for the trails. Nothing pleases a trail builder more than people enjoying our work. Get out and enjoy the trails and tell your friends how great it was. But, be a dear and don’t ride when the trails are saturated. When you notice mud on the trail, it’s time to go elsewhere. Mud tells us the trail is too wet to ride and we should find a different trail that’s more durable in the wet weather. Here’s an excellent article by TORCA on the subject. Technically I have mentioned this one before, but it’s such an important point that I thought it was worth mentioning twice! We all love to ride, but without the hard work of our trail associations, we would only have a fraction of the trails we know and love. Please join today.